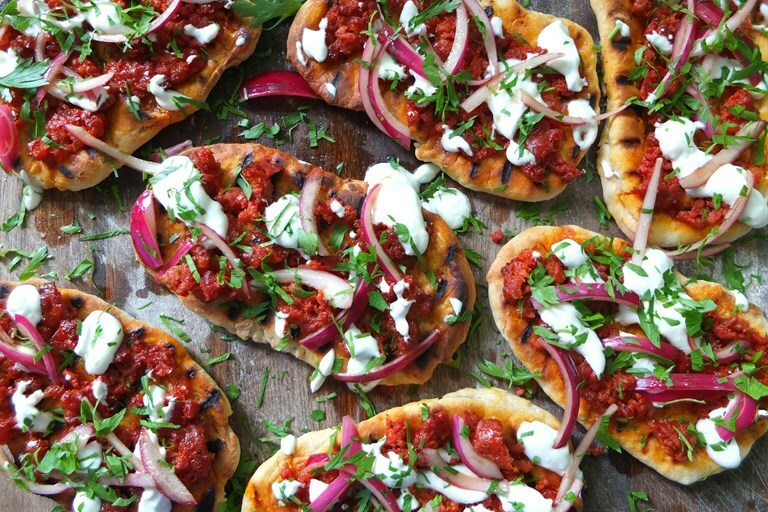 This stunning chorizo flatbread recipe is served with quick-pickled onions and drizzled with a heavenly yoghurt and feta dressing before serving – a triumphant dish that's perfect for a summer gathering. These flatbreads are very easy and make a fantastic base for punchy flavours. 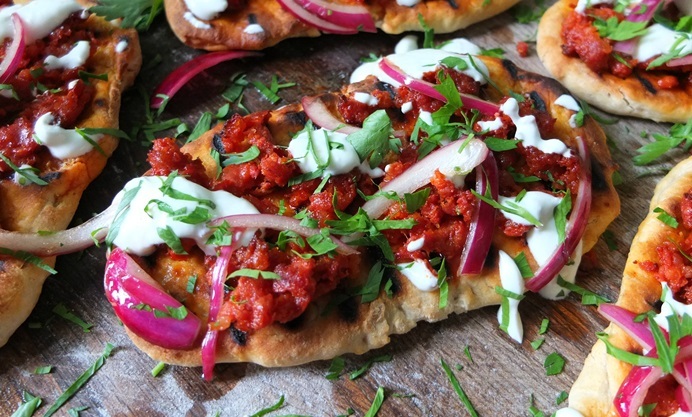 I’ve removed the casing from the chorizo and used it as a topping, garnishing with quick pickled onions and a whipped yoghurt and feta dressing.